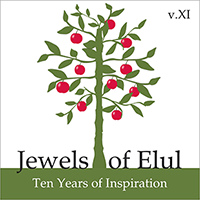 Jewels of Elul: 10 Years of Inspiration from Craig ‘N Co | Yo, Yenta! This entry was posted in (not-so-traditional) Tradition, Tradition!, Life, Death and Guilt In Between and tagged anita diamant, craig n co, craig taubman, elie weisel, high holy days, jewels of elul, jewish music, jewish new year, jill soloway, rabbi, rosh hashanah by Head Yenta. Bookmark the permalink.